Well this last month flew past. I always feel like this at this time of year, I think as the days get longer and the weather gets better I try and cram more stuff in so everything goes very quickly. We’ve had several glorious bank holidays to spend time as a family, a few days out and a lovely trip to London to celebrate a family wedding. There has been some glorious weather and the first barbeque of the year with friends. Felicity was very impressed with her first taste of sausage. 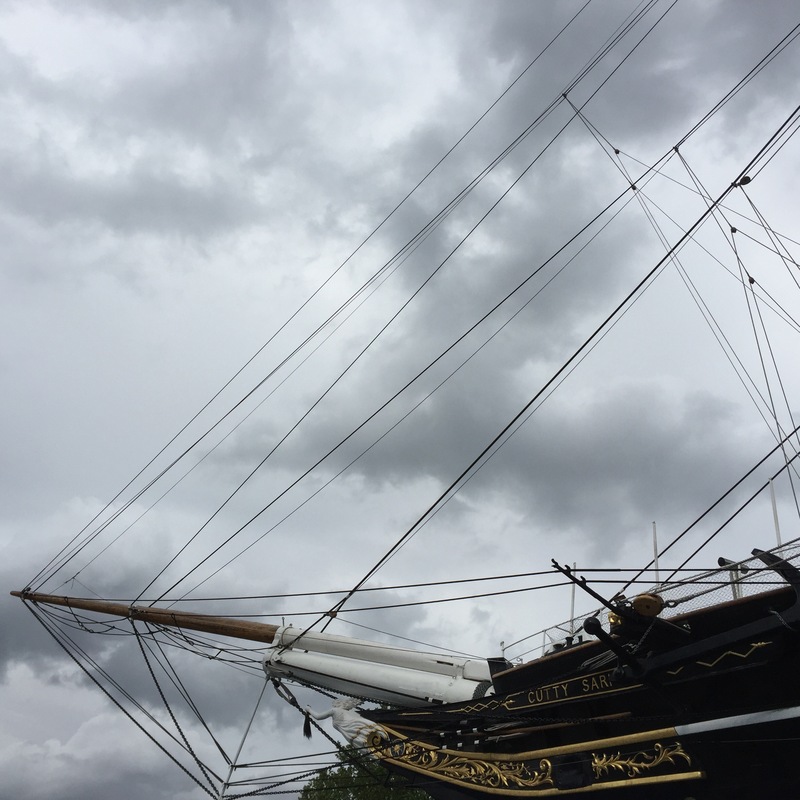 Although the weather has now gone horrid a lot of this month has been warm. 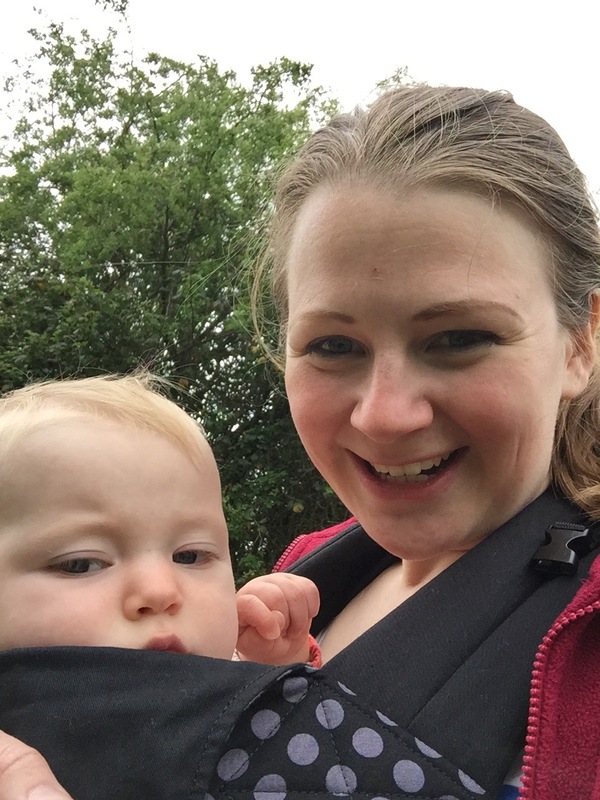 A lot of time has been spent in the garden or experimenting with our new baby carrier – a Connecta – which has made mid afternoon walks through the woods and fields a nice change of pace from endless buggy tours of our ‘technically a small town but verging on the size of a village’ home and the supermarket. We’ve hung out with our Mum and baby friends once a week, discovering ball pits and swimming for the first time. 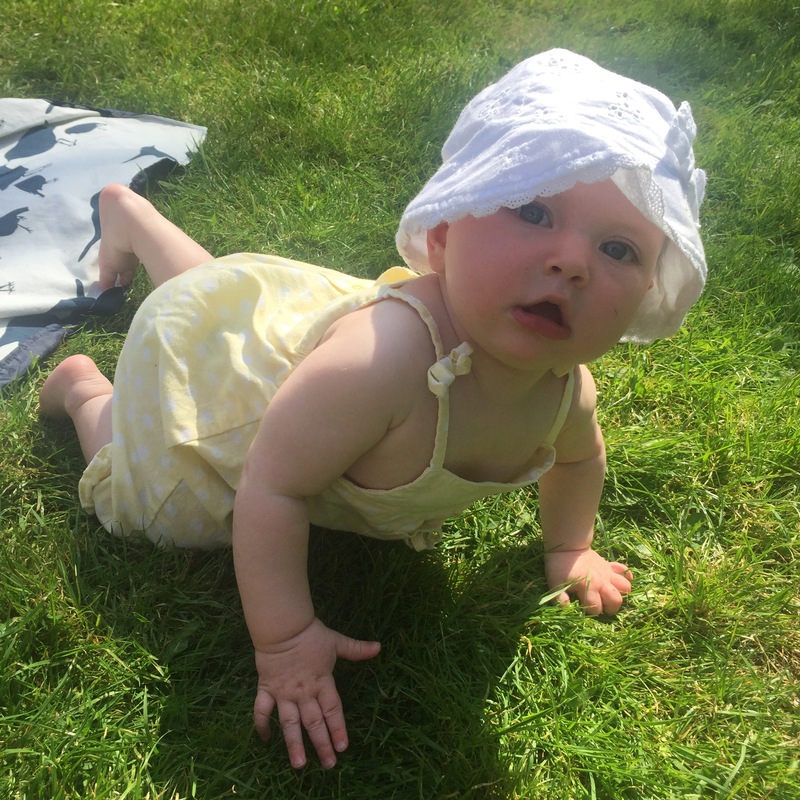 Felicity has also thoroughly mastered crawling which has made her a lot happier as she’s able to explore more but has the disadvantage that she is finding ways to get into scrapes and accidents in lots of new interesting ways – and terrifying me frequently in the process. 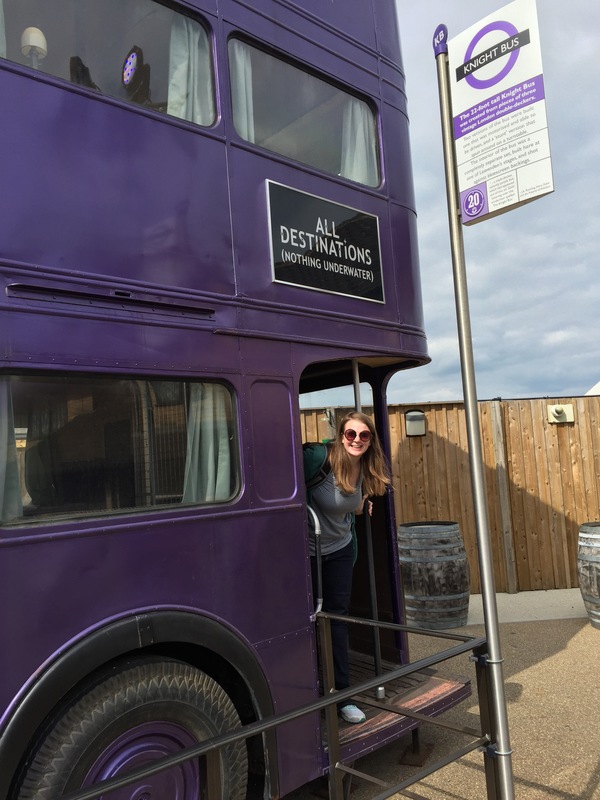 Jennifer from Pastry & Purls invited us to celebrate her birthday at the Harry Potter Studio Tour and a grand day out was had by all. 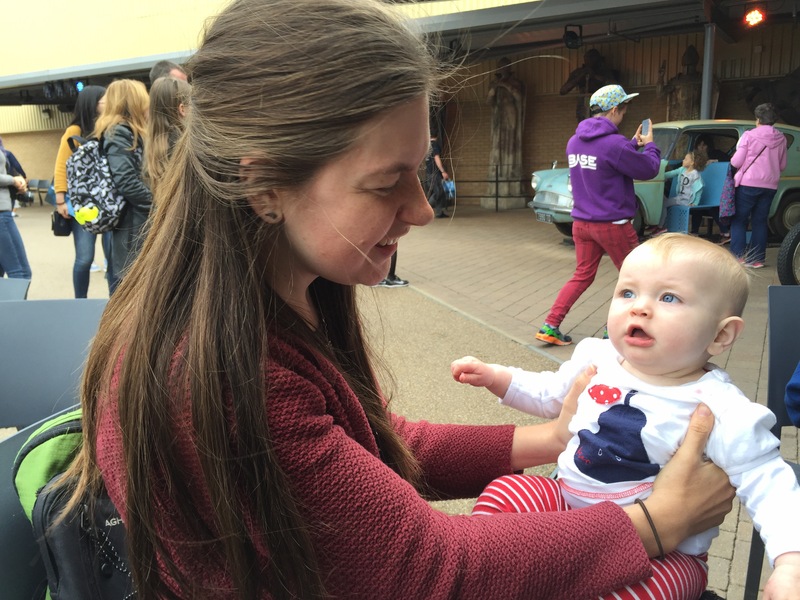 It was so lovely to catch up with Jennifer and finally introduce her to Felicity. 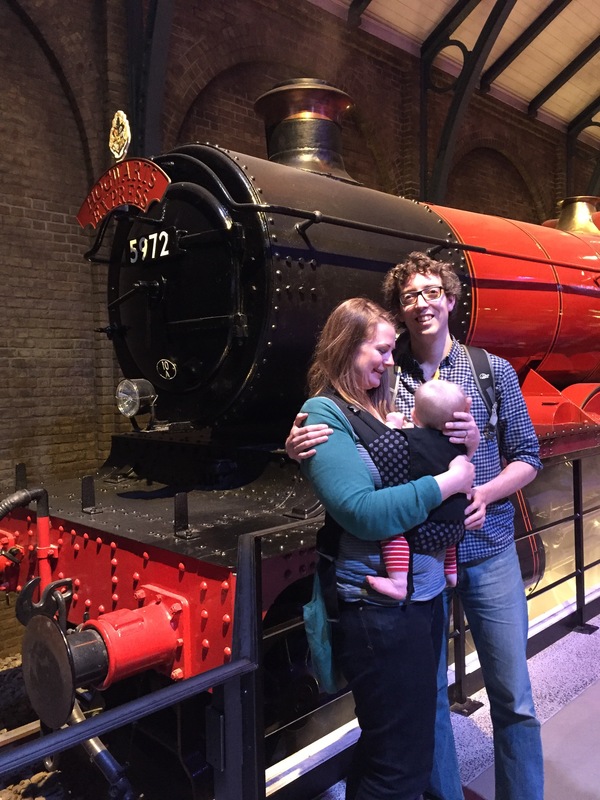 There will be a more detailed post on visiting the Studio Tour with a baby very soon. Towards the end of the month we headed down to London for a few days for Will’s brother’s wedding. Such a happy occasion! Will was performing some best man duties so the wedding day itself was busy but we arrived early the day before and enjoyed wandering round Greenwich. 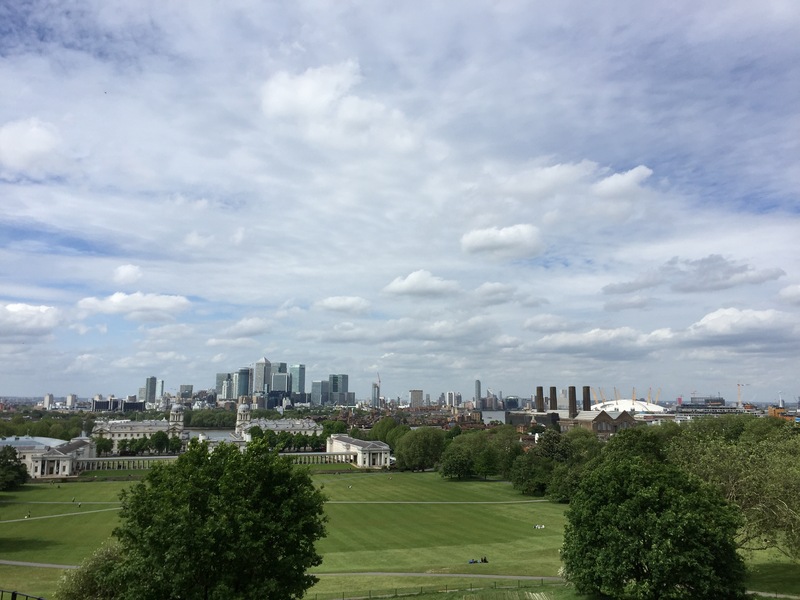 I’d forgotten how much I love London and we had glorious views over the East End from the hill in Greenwich Park, and also whizzed round the outside of the Cutty Sark, although the weather was starting to turn at that point. 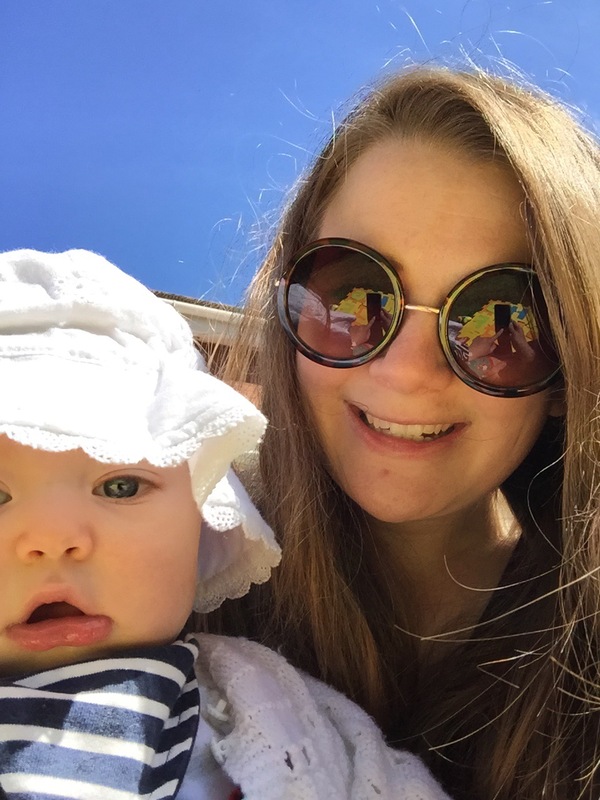 This entry was posted in Be and tagged baby, Days out, family, holidays, May, simple joys, this month. Bookmark the permalink. Will you have a car? Do a day trip to Aberdeen and come and meet Matilda and me!